Since 1971, Mitsubishi and Chrysler have had a relationship that has produced a number of vehicles. The first collaboration was a subcompact initially called the Dodge Colt, which was a rebadged Mitsubishi Galant. Until 1996, Dodge, Eagle, Mitsubishi and/or Plymouth had a subcompact vehicle called one of many names including Colt, Cricket, Champ, Mirage, or Summit. There were various submodels, too, such as Colt Vista, Colt GTS, Summit Wagon, and they were all different. The one commonality was that the vehicles were engineered by Mitsubishi. The Mirage/Colt, however, never seemed to reach the semi-iconic statuses that the Toyota Corolla or even some of the Datsun/Nissan models achieved. However, these cars, especially the turbocharged versions of the 1980s, were fast, fun, and affordable. Our family had a 1980 and 1985 Dodge Colt, and a 1992 Mitsubishi Expo LRV. None were the turbo, hot-rod models, but all were reliable, affordable, practical transportation. Here's a brief history of the Dodge Colt/Mitsubishi Mirage in the U.S., and all of the various sub-branded cars that came from Mitsubishi from 1971-1994. 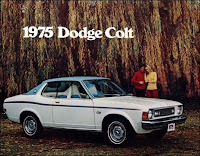 Beginning in 1971, Chrysler started importing and selling the Mitsubishi Galant under the Dodge Colt nameplate. The first Colts were all rear-wheel drive and offered either a 1.5-liter, 1.6-liter, or a 2.0-liter four cylinder engine mated to a four-speed manual or three-speed automatic at various periods during their availability. (A five-speed trans was available beginning in 1976.) There were two-door coupes, four-door sedans, and a wagon variant. The Colt was a direct competitor to the Toyotas and Datsuns of the time. Personally, I have not seen many of these on the road. On occasion, I'll see one on craigslist or eBay, but they seem to be pretty rare. It wasn't until recently that I even knew this generation was for sale in North America (aka Plymouth Cricket in Canada). Things changed quite a bit for the 1979 Dodge Colt. Chrysler sold the Plymouth Champ (my parents had a red one) along side the Colt, even though they were essentially the same car. The '79 models were available as a three-door at first, and they were pretty darn small, too. This generation was front-wheel drive, and the standard engine was a 1.4-liter; a 1.6-liter was optional. Transmissions were either a four-speed manual, a three-speed auto, or an odd-duck called a "twin stick," which had high and low gears, basically making the vehicle an eight speed. In 1982, a five-door model became available, and in '83, the Champ name was dropped, meaning both Dodge and Plymouth offered the Colt. In 1984, Dodge released the hot-hatch Colt GTS, which included a fuel-injected 102 hp, 1.6-liter turbo engine and the Twin-Stick transmission. This little guy pumped out 7.5 lbs. of boost. Nowadays, these are rare birds, too. Dodge claimed a 0-50 time (yes, 50) of 5.78 seconds according to a vintage advertisement I found on the Web. Although the GTS is the rarest of this generation, I still don't see many Colts/Champs from the '79-84 era at all, and I don't believe there's a huge enthusiast base for these years, either. 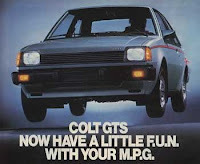 For 1985, the Colt got a bit bigger, and the car was now sold through Mitsubishi dealerships as the Mirage. There were still three- and five-door hatchbacks, but a four-door sedan and Colt Vista wagon were added. 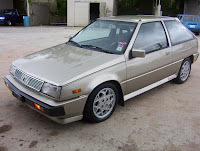 A 1.5-liter engine was standard; a turbo 1.6-liter was available, as was a 2.0-liter engine (Vista only). 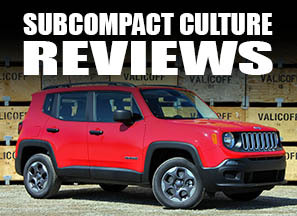 Transmission choices included a four- or five-speed manual and a three-speed auto. The fuel-injected turbo model (G32B) produced around 120 hp (I believe—if anyone knows for sure, post in the comments section), and had a sportier suspension, and other performance-related accoutrements. The normally aspirated engines were available with carburetors or fuel injection, and horsepower ranged from 51 on the base 1.5 with a carb, to 88 on the fuel-injected 2.0 liter found in the Colt Vista. My family had a 1985 beige five-door hatchback Dodge Colt with a maroon vinyl interior (yes, it was uber hot in the summer). As a side note, the five-door was dropped in '86. We nearly bought a Colt Vista wagon, but ended up buying a Plymouth Voyager instead. 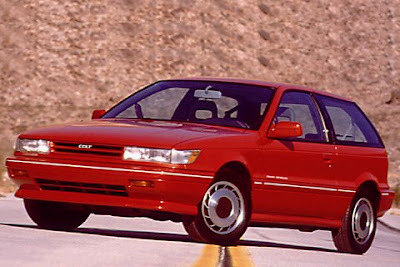 For 1989, the Dodge Colt was redesigned, and again offered as the Mitsubishi Mirage, but also as the Eagle Summit. Initially, the cars were available in three-door hatch and four-door sedan bodystyles. Powerplants included an 81 hp, 1.5-liter, two-valve SOHC four-cylinder (later bumped to 92 with the addition of a third valve); the 1.6-liter turbocharged 4G61t four cylinder, producing 135 hp; and a 1.6-liter, normally aspirated 4G61 DOHC engine, which appeared in 1991, in the Mirage GS sedan. The Colt Vista, however, remained relatively unchanged from its original 1985 introduction. This generation Mirage/Colt has become somewhat of a interesting car for some hot rodders, too. The venerable 4G63T found in the turbo Eclipse/Talon/Laser, has been placed under the hood of a number of Colts/Mirages, making them darn fast. Plus, some people will build up the 4G61, too (see the link to to the 4G61t forums below). Yet another redesign for the 1992 model year, and another growth spurt. Gone were the turbo engines. Gone were the hatchbacks. The U.S.-market Colt/Mirage/Summit were offered as two-door coupes, four-door sedans, and an all-new Plymouth Colt Vista/Mitsubishi Expo LRV/Eagle Summit Wagon was offered. Coupes came standard with a 92 hp, 1.5-liter SOHC engine (4G91) while sedans got the 113 hp, 1.8 liter, 4G93 SOHC 16-valve engine (the 1.8 liter was optional on coupes in 1994). The wagon came standard with the 1.8-liter, although a 2.4-liter mill (4G64) was offered later. This generation also gained an airbag in 1994, then got airbags (plural) in 1995. 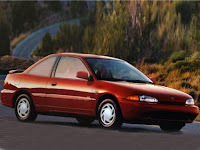 In 1994, the Dodge Neon was introduced, and replaced the Colt. The Eagle Summit, continued until 1996. 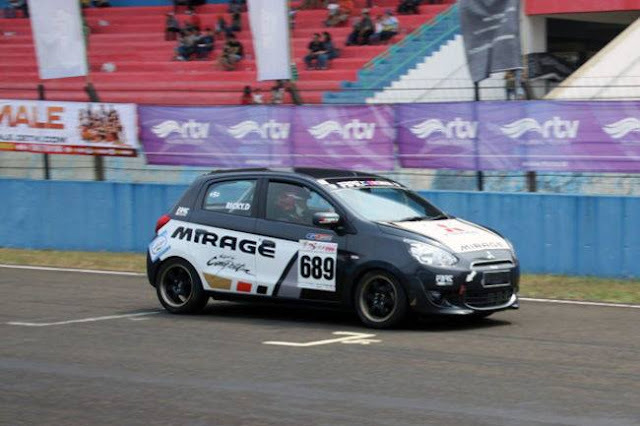 The Mitsubishi Mirage was offered until 2002, when it was replaced by the Lancer. The Colt lived on in many other European, Asian, and Oceanic markets, and is still produced today, in some very appealing trim levels. Then again, in these markets, the hatches never left—nor did the turbo models. Besides the Canada-only "Colt" Crickets, there was a Plymouth Cricket in '71-73 which was a rebadged British Hillman Avenger. The '85 Colt 5-door was only available in that basic vinyl-trimmed model too - apparently Ma Mopar didn't want it to steal sales from the Omni/Horizon. ... and boy was that maroon vinyl interior HOT! When it was sunny in the Minnesota summer time, we had to lay beach towels on the upholstery so we didn't burn ourselves. Our '85 also had dealer-installed A/C that didn't work great, a dealer-installed sunroof that lead, and white-wall tires (my dad insisted). I remember the radio was down towards the floor, too. Oh yeah, and the horn was just a horizontal strip in the center of the angular steering wheel. I had an '87 3-door Colt DL in the mid '90s (first car I owned that was <10 years old). Blue corduroy seats, all-black wheels (the full covers were long-gone), and the same radio positioning that made it hard to change stations while in odd-numbered gears. Its' party trick on cold Vermont mornings was to start on one cylinder, the second would catch an minute or two later, and the other two would come on line a minute or so after that. I had a '73 Plymouth Cricket. The owner's manual had British Leyland logos. Was Hillman also part of BL? I used a lot of parts that were purchased using MG part numbers. I loved the car. I bought it with the rear end smashed in (totaled out) and fixed it. Then I ran into a pole (totaled out) but fixed it again. When I did, I discovered evidence that it had been hit in the passenger side doors at some time in the past. I sold it before the full set of injuries was completed (MY door). It also tried to kill me by having a faulty exhaust joint right by the fresh air intake for the cab. I named the car Christine. I don't know about Hillman, but yes Leyland was indeed involved with the early Colts. How can you talk about the Chrysler/Mitsu connection without mentioning the Plymouth Arrow with 1.6, 2.0 or 2.6 L engines, or the Plymouth Sapporo, which was a more luxurious coupe? I had a 2.0L Arrow with 5-speed 1978, got 33 mpg cruising at 75 with plenty of passing power left. The 2.6L had the same power/weight ratio as Trans Am that year. I just wish I could find some parts cars. I've got a White '84 GTS Turbo and a Red '84 GTS Turbo. It would be cool if I could add the black one to the stable.